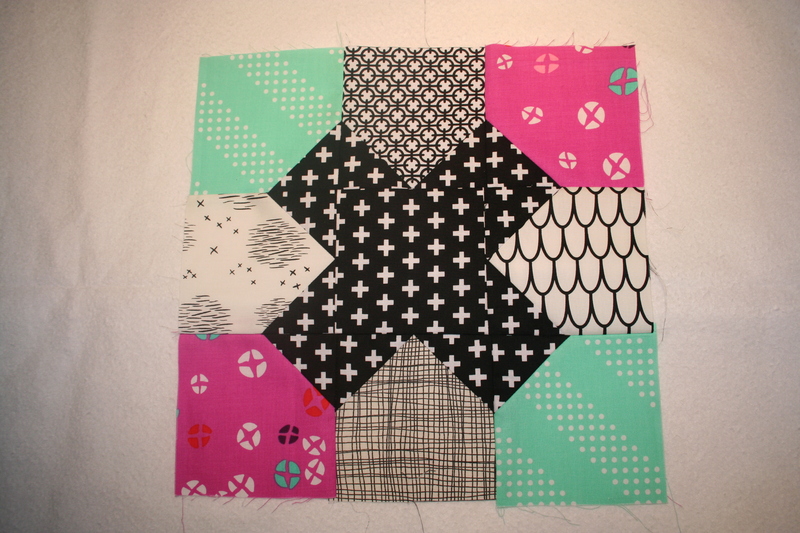 I posted my finished block on instagram and one lady who commented told me to be sure to pick a block you can easily make a few more from so I could make my quilt a bit larger. 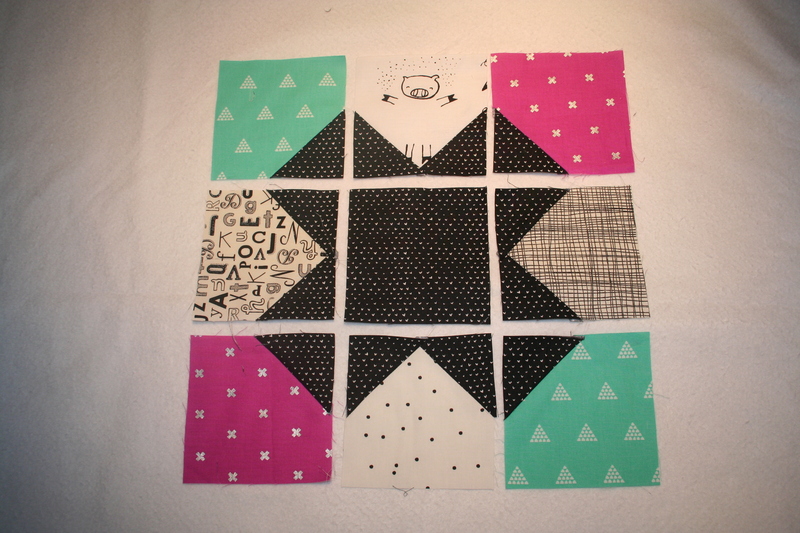 This Tic Tac Toe block is pretty easy ( instructions from Blossom Heart Quilts ) so I decided today that this would be my block as well. I picked the “X” to be black.. but not just solid black. 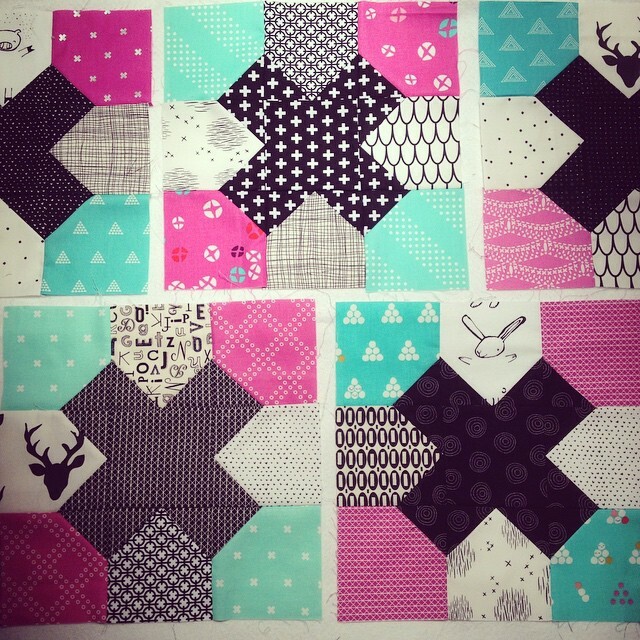 I want my blocks to be fun to look at and almost like an iSpy quilt, something new to discover in every block. I picked black with a print.. infact.. all my fabrics have print on them. 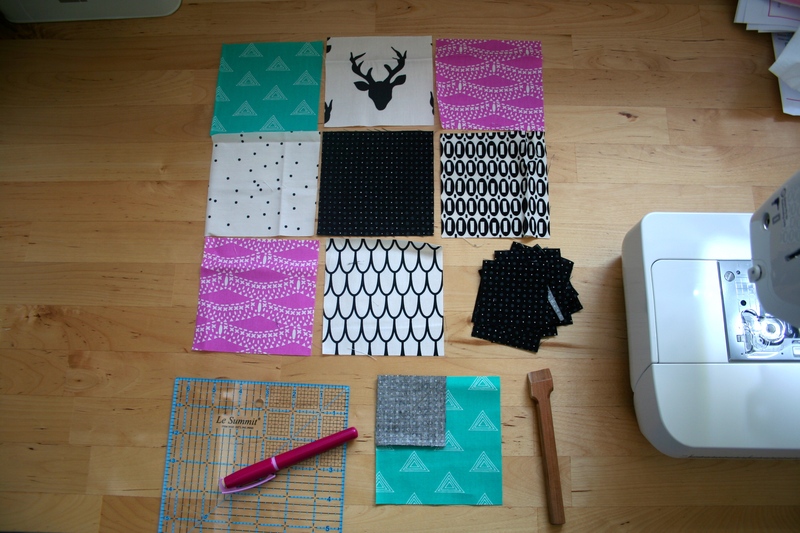 I picked Hot Pink and Mint/Sea for contrasting corners and off white (with black prints) for in between. 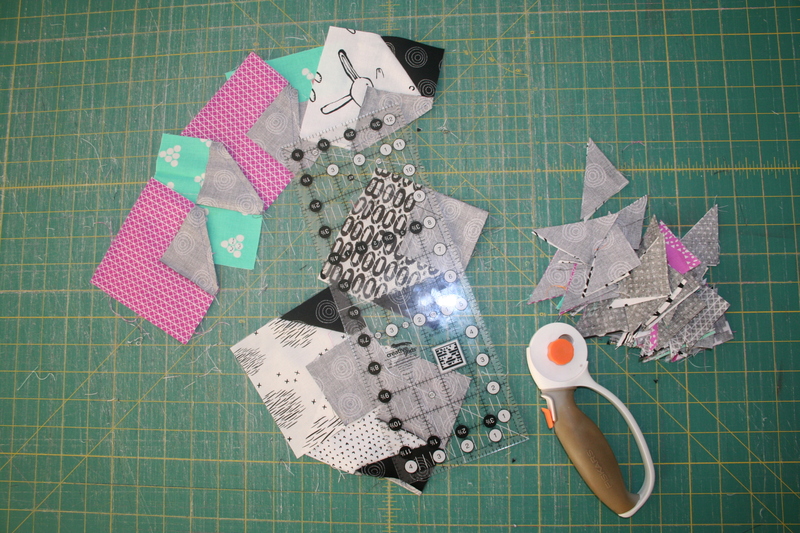 I made 5 blocks today.. lots of ironing and cutting corners ( really rotary cutting .. not the figure of speech one). I will get in the month April 11 blocks send to me by the others from my beehive, so that will make 16 blocks in total. 4 x 4 blocks… I think that will be big enough for a nice throw. If not I can always make 4 more.. I have a parcel on the way which would allow me to make some different black and white blocks . 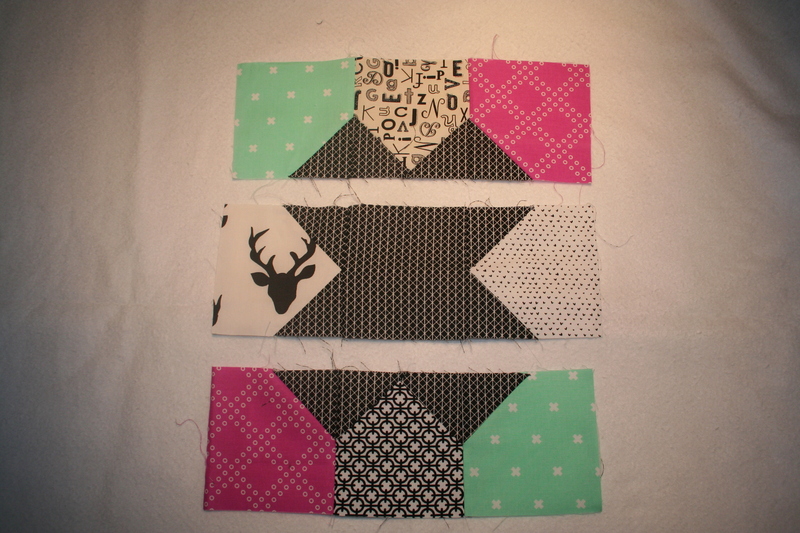 After sewing on the little squares, cutting off the excess fabric. Start sewing them together, row by row.